The third episode of 2016's Hitman is available to try for free, but hurry—it's one of those "limited time only" things. 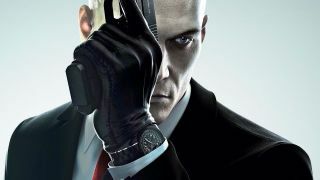 "As with any Hitman level, Marrakesh promises players the lure of voyeurism and the thrill of infiltration and it’s something we’ve been working hard on getting just right," says developer io Interactive. "Offering two targets, the “Gilded Cage” mission challenges players to eliminate private banker Claus Strandberg, held up inside the secure Swedish Consulate, and army General Reza Zaydan, protected by his elite squad of soldiers at a temporary headquarters in the heart of the city. Both targets will be challenging to reach and both will, of course, have some entertaining special moments attached to them that will allow players to dole out some poetic justice." Access to the Summer Pack only lasts until July 31, 2018, but any saved progress will transfer to the full game if/when purchased. Hitman is out now on PC, PlayStation 4, and Xbox One.